Yesterday in El-Ad West LLC v. Zurich American Ins. Co., 2015 WL 4078762, 2015 N.Y. App. Div. LEXIS 5753 (N.Y.App.Div., Jul. 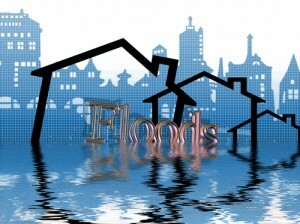 7, 2015), a unanimous panel of New York’s intermediate level appellate court held that a flood sub-limit capped all loss caused by flood, without regard to whether it was physical damage to property or a “downstream” financial loss such as delay in completion. In the words of the opinion, reading the contract of insurance in such a way as to find that the flood sub-limit did not apply to delay in completion losses “would render the flood limit meaningless with respect to that coverage.” The panel thereby affirmed a Superstorm Sandy decision that we reported on in July of last year; it was a case of first impression in New York. The developer took an appeal, arguing that the delay in completion coverage was effectively a separate, stand-alone contract of insurance with its own $7 million cap for economic loss. In support of that position, the insured pointed to the fact that compensible delay in completion loss could be sustained after the builder’s risk coverage period had terminated. On Tuesday, however, a five-judge panel of the Supreme Court’s Appellate Division disagreed, and it affirmed the trial judge. The plain language of the delay in completion coverage form, which incorporated the policy terms by reference, applied the $5 million flood sublimit to “all” losses, including nonphysical damage losses, such as those resulting from a delay in completion. In light of the policy language, plaintiff’s contention that the flood limit applies solely to losses resulting from physical damage, is unavailing. The fact that the main policy and the [delay in completion] coverage form may have separate deductibles or coverage periods pertains to the type of loss at issue, and does not preclude a single overriding flood limit.